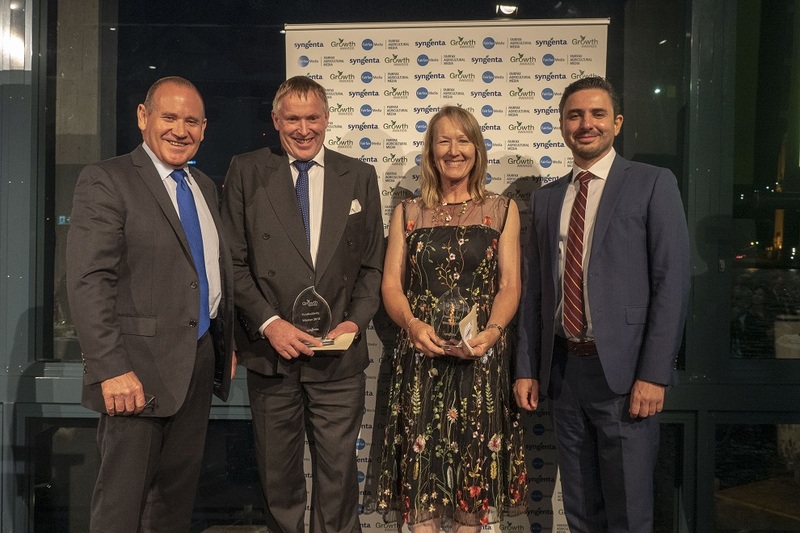 Syngenta Australasia territory head Paul Luxton, with joint Productivity category winners Murray Turley (NZ) and Lynley Anderson (WA), as well as Syngenta regional director of APAC Alex Berkovskiy. 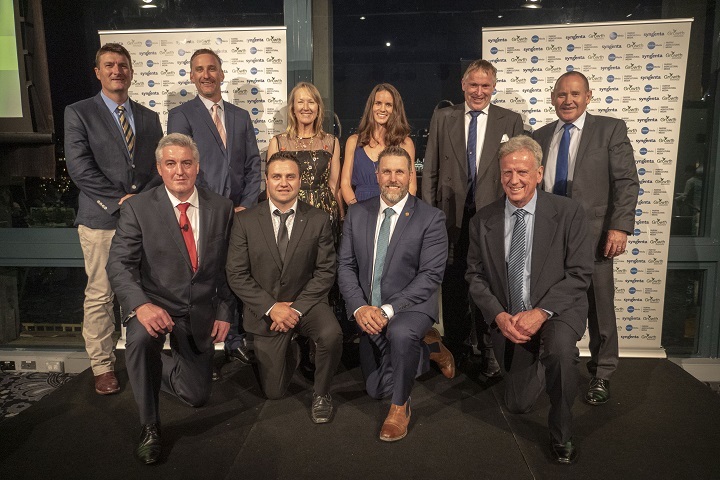 JUDGES from across agriculture and the recruitment, media and environmental industries named eight winners from across Australian and New Zealand agriculture in this year’s Syngenta Growth Awards. This included a ‘Judges’ Choice’ in recognition of efforts to improve the mental health of isolated farmers. Mr Turley heads Turley Farms, a 2930-hectare operation on NZ’s South Island growing cereals, potatoes, and hybrid vegetable seeds. Ms Anderson uses the latest technologies and research in her mixed farming operation. Conscious of the ecological responsibility she has to her farm, Ms Anderson makes strategic decisions to maintain ground cover on the gravel, loam and clay soils and manages risk by utilising synergies between cropping and sheep. Mr Jansz provides advice to help maximise returns for his growers. Mr Jansz adopts the strategies of the Integrated Crop Management system, a holistic approach to running farms. Predominantly a sugarcane grower, Mr Russo has included macadamias and peanuts in his 500ha enterprise to produce a more sustainable farming operation and aid diversification. As a fourth-generation grower, he has designed his own fertiliser applicator to deliver nutrients to the root zone. With the environment in mind due to the proximity of his farm to the Great Barrier Reef, the applicator also decreases run off. Mr Walker led a team which introduced Integrated Fruit Production and has helped growers adopt practices that decrease pesticide residues. His advice is regularly sought by NZ government officials. 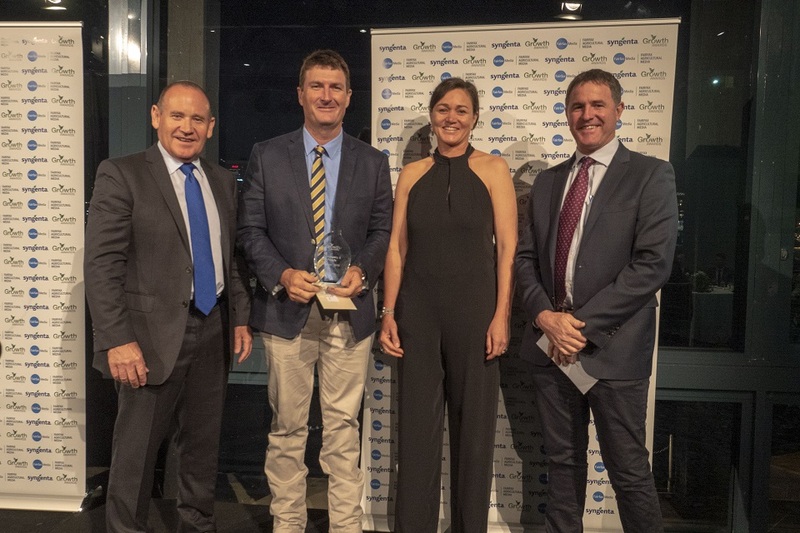 Syngenta Australasia territory head and awards judge, Paul Luxton, Community and People category winner, Tony Lockrey, and judges, Kirrily Condon and Richard Heath. Mr Lockrey works with about 20 large clients providing on-farm advice. He has a strong involvement in research and development and holds positions on many industry bodies. Mr Lockrey organises a “Men’s Campfire Dinner” once a month, which has attracted up to 70 men who are encouraged to talk about anything they like. Mr Samwell is part of a family operation producing Brussels sprouts and kalettes at two farms at Mount Barker and Langhorne Creek. He spends up to two days a month providing input into future research and development through his involvement with industry groups. He also hosts field days and school visits to his farms. Ms Stevens left a career in banking to follow an idea to use physical fitness to improve mental health in rural communities. (Back row) Winners Tony Lockrey, Jack Russo, Lynley Anderson, Ginny Stevens and Murray Turley, with Syngenta Australasia territory lead Paul Luxton. (Front row) Syngenta channel and customer marketing manager Tony Carr with winners Noel Jansz, Scott Samwell and Jim Walker. This year’s winners will have the opportunity to participate in a week-long study tour of the United Kingdom and Europe in 2019. The tour has in recent years included a day at Royal Farms, at Berkshire, and Syngenta’s R&D facilities at Jealott’s Hill.